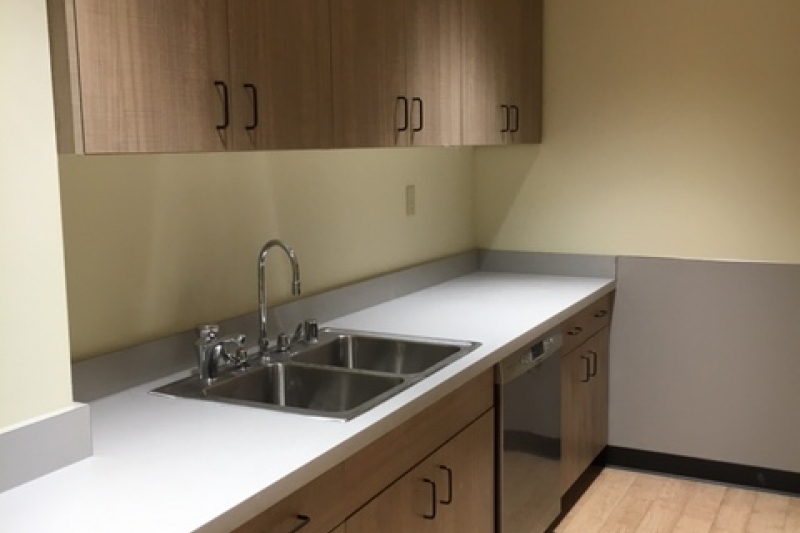 Square Footage 2600 sq. ft.
High availability for evenings and weekends. Medium availability for weekday rentals. 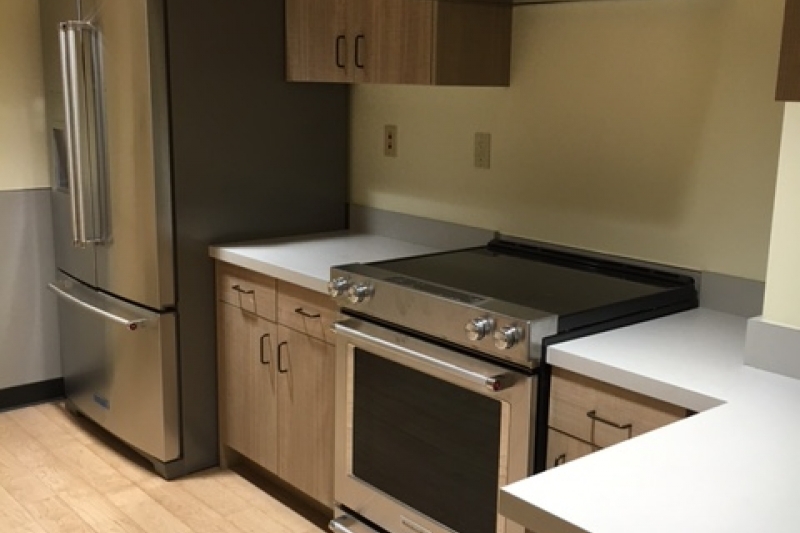 Reservation includes rental of Kin On’s full community room, kitchen, and the lounge. 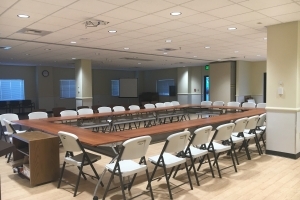 The Community Room accommodates up to 80 guests for a seated meal and up to 100 standing. 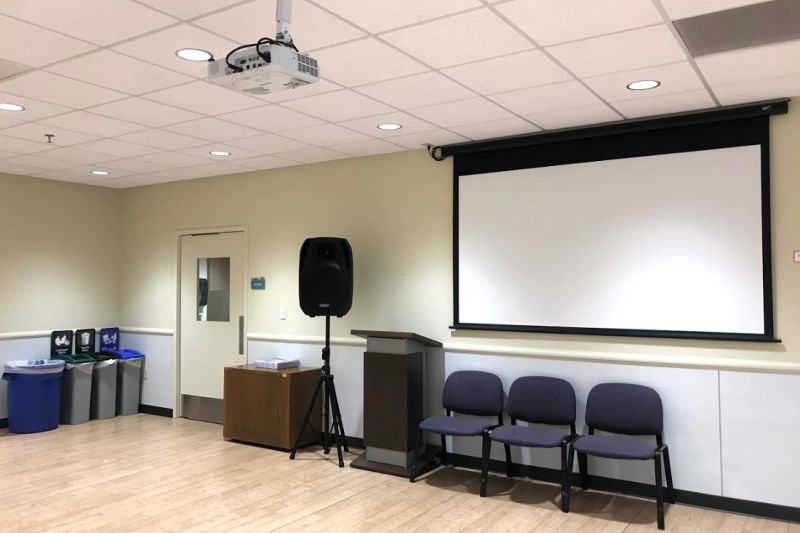 All rentals include use of 10 round tables, 10 rectangular tables, 10 training tables ,and 60 folding chairs. There is free Wi-Fi available throughout the building. Available for rent seven days a week, including evenings. The community center typically runs senior wellness programs during business hours. Please contact venue for additional info. Including set up and take down in rental. Rental also includes the use of the kitchen and lounge. $100/hour for public, $50/hour for non-profit organization. $50 non-refundable cleaning fee for all reservations. Required to have a on-site staff @ $20/hour to assist with questions. Facilities may be booked from 14 days to 6 months in advance of your event, provided that an accommodation can be made for your reservation. Applicants must be at least 21 years of age or older and present throughout the entire rental. The person signing the rental form is the responsible party in case of damage, theft or disturbance. -All rentals must be completed by 9pm. (All guests and equipments out and facility back to its original condition). -Guests must provide additional insurance and valid permits for all vendors (e.g. alcohol, food catering). -No open flames or fireworks. -No smoking within 25 feet of the entrance and exits and windows/vents that open to the inside of a building. -Noise volume must be contained within the boundaries of the building. No loud music after 8 pm. -All rentals include set up and tear down time. The renter is responsible for set-up, take down and clean up for their event. All furnishings must be returned to their original location. 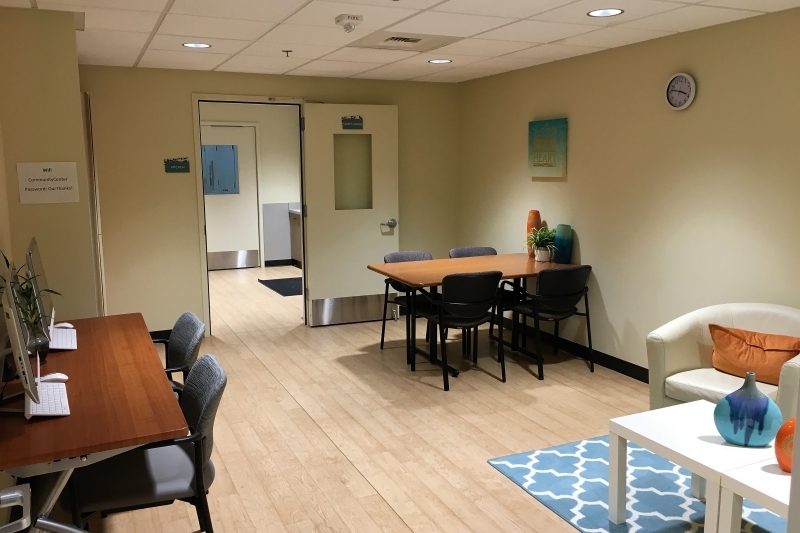 Overtime charges for facility use are billed at twice the regular room rental rate. -Kin On will not be liable for any damage to personal property or personal injuries sustained on our premises during your event. Damage deposit required of $250 will only be charged if damage is made as determined by inspection by Kin On after the event. All reservation cancellations must be made in writing (email is acceptable). Date changes will be accepted in writing, and considered as a cancellation and new reservation. Cancellations made 30 or more days prior to the event will result in a full refund of the room rental fee and cleaning fee paid. Cancellations made between 30 days and 7 days prior to the event will result in a refund of 50% of the room rental fee and cleaning fee paid. Cancellations made less than 7 days prior to your event are not refundable. 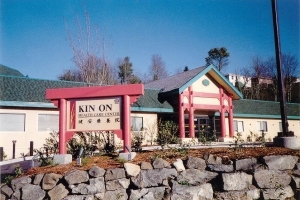 Situated south of Columbia City area of Seattle, Kin On Community Center offers nonprofit and public groups comfortable and affordable spaces for meetings and events, classes and workshops, and special occasions such as receptions, birthday parties, community events, public meetings, memorials, seminars, classes, and more. We serve older adults in the communities of south Seattle and surrounding areas. Our services include fitness classes, lifelong learning classes and social activities. 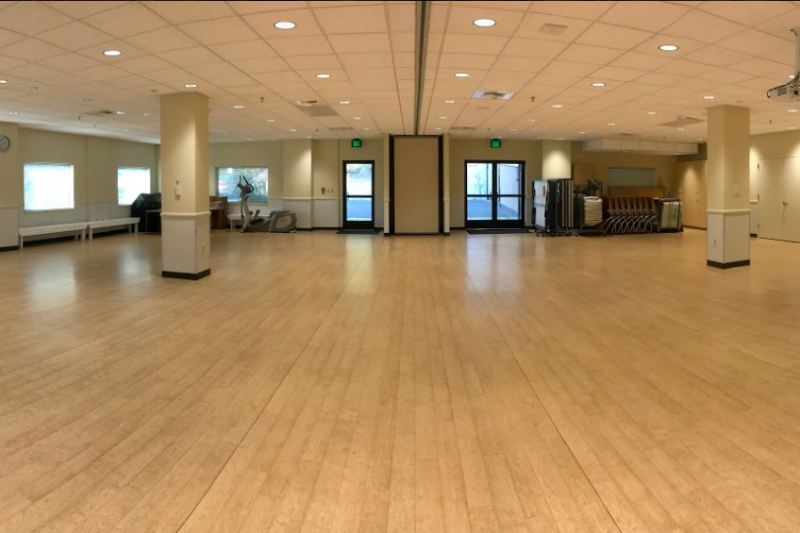 The Community Room accommodates up to 80 guests for a seated meal and up to 100 standing. All rentals include use of 10 round tables, 10 rectangular tables, and 60 folding chairs. There is free Wi-Fi available throughout the building. Kin On Community Center (west entrance on lower level) opens for senior wellness programs 9:00 a.m. - 6:00 p.m. Monday to Friday. Open for rentals during and after those hours and on weekends. Tours do not occur on Holidays and may occasionally be cancelled or rescheduled for other reasons. Please contact the office at (206) 556-2237, if you wish to schedule at different time. There are flat pathways that provide access from parking into the venue, venue has easy access for a person using a wheelchair, there are restrooms for people with disabilities. Security cameras on site, regular security checks in parking lot and around the building.